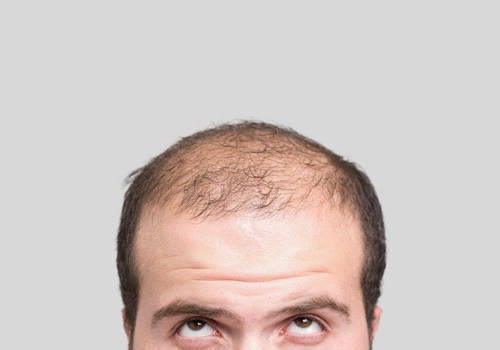 There are many hair transplant methods and many treatments for the hair bulbs before planting. One of these methods is called “Ice Grafts”. This technique is no different than others, it just differs in how the bulbs are treated before transplanting. This small difference is very important to have better results in a short time. At the beginning, hair follicles are extracted by the FUE technique, after that, the grafts are put in a prepared solution and kept at a specific and very cold temperature. This primary treatment is important to protect these follicles and keep them vital. What is Ice Grafts technique? Ice Grafts technique is prepared before the start of hair transplant surgery. Hair bulbs extracted from the donor area, are stored in a solution that increases their vitality, then, the bulb containers are kept in refrigerators where the cooling process starts. This technique has strong efficiency in increasing the bulbs quality and tissues surrounding them, as it extends their lifespan outside the body. What is ice grafts solution? Ice Grafts solution is used in many medical fields that involve tissue or organ transplant while its function is keeping their vitality when they are outside the body and protecting them from damage. In hair transplant surgeries with FUE technique, hair bulbs are put in this solution to avoid their damage. The Ice Grafts solution protects the bulbs from destructive free impurities that may attack cells, and set their low temperature. This solution contains two strong antioxidants and vitamins which make it ideal and positive while storing the hair bulbs and help keeping their vitality. Ice Grafts technique is an important factor for hair transplant success. It keeps hair bulbs vital and capable of growing again after transplanting, and that’s exactly the most important point. It is well known that each surgery has its own circumstances and duration, also temperatures may be high and affect the bulbs. If the surgery lasted more than the bulbs lifespan (the hair bulb’s lifespan is about 4-6 hours in normal conditions) it will surely fail. Now hair bulbs are inserted at the bald areas, where they adapt with the body’s temperature and prepare to grow. Low temperature has an anti-inflammatory affect, and positive impact on recovery and hair bulbs growth. What are the characteristics of Ice grafts technique? One of the most important advantages of this technique is that it gives more comfort for the patient during the surgery. The physician won’t be in a rush to finish. It means there won’t be much stress and pressure on the patient and the medical staff. In case of using Ice grafts technique, hair transplant will give better results and the medical team will work with much more comfort. In addition to that, the success percentage will increase because of the bulbs safety and vitality while kept out of the body, so it will give new hair when transplanted to the targeted area. At Clinicana Hair Center Istanbul Turkey, we apply the Ice Grafts technique to preserve the hair bulbs waiting to be transplanted which gives bigger success opportunities to our hair transplant surgeries and the preserved hair bulbs give new normal hair.